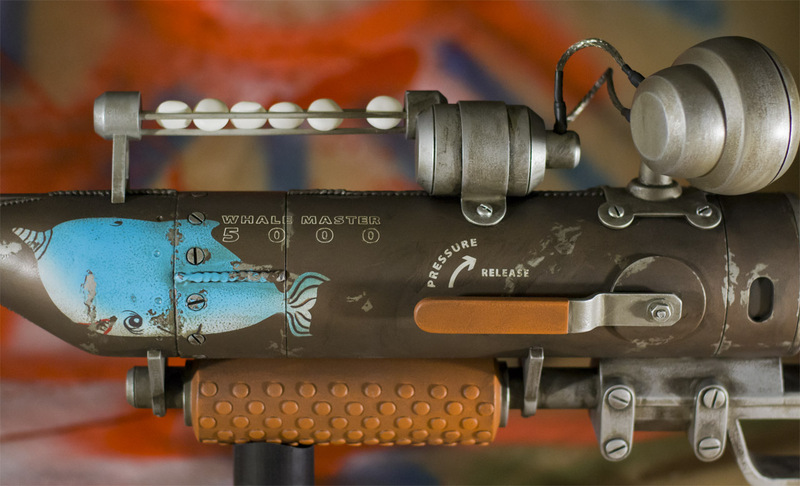 Built for Microsoft and Insomniac Games to showcase the Xbox One title Sunset Overdrive, this weapon is part of a collective build of 2 guns built in collaboration with the studio Hex Mortis. 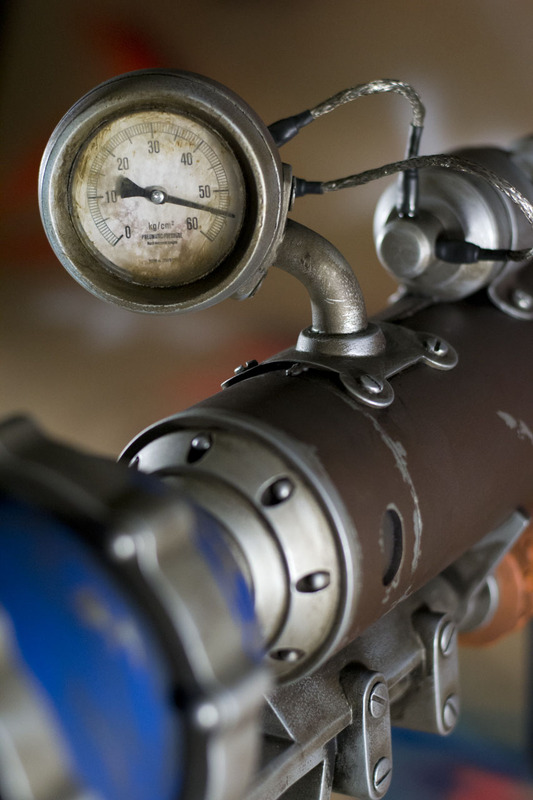 The final spear gun measures 48″ in overall length and has been designed to be both extremely lightweight – under 4 lbs – as well as collapsible for transport and shipping. The finished replica also had to be able to withstand the abuse of being held at a photobooth by thousands of convention attendees over the course of several events. 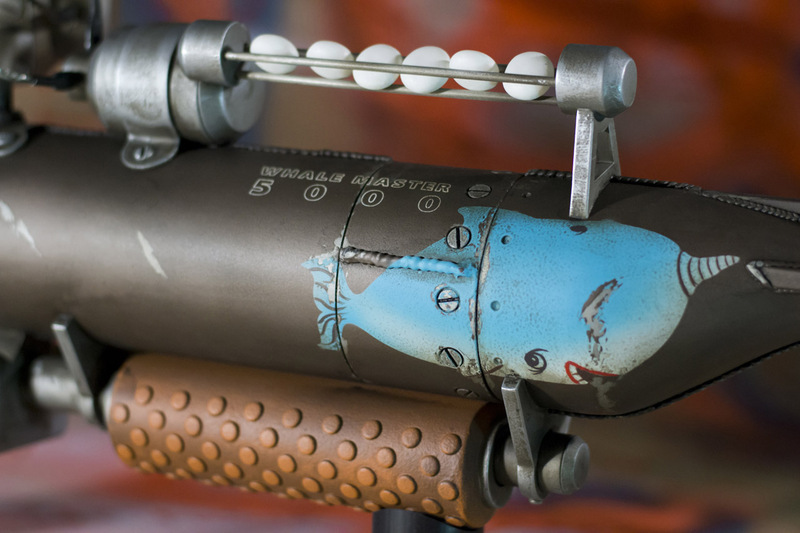 This project marks the first piece in my portfolio to employ 3D printing, used both in the handle and gauge housing. All other components were hand scratch built. 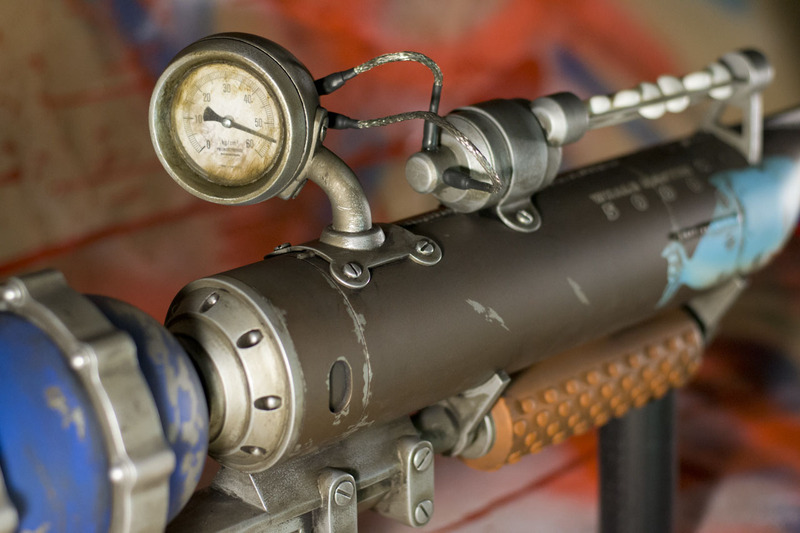 Captain Ahab and it’s sister prop The High Fidelity were both completed in a timeline of only 3 weeks for their debut at Penny Arcade Expo 2014, and have since appeared at several other Sunset Overdrive events.